Loosen the cylinder head bolts 90 degrees. Loosen the cylinder head bolts 180 degrees. Do not damage the guide sleeves (4) and (5). 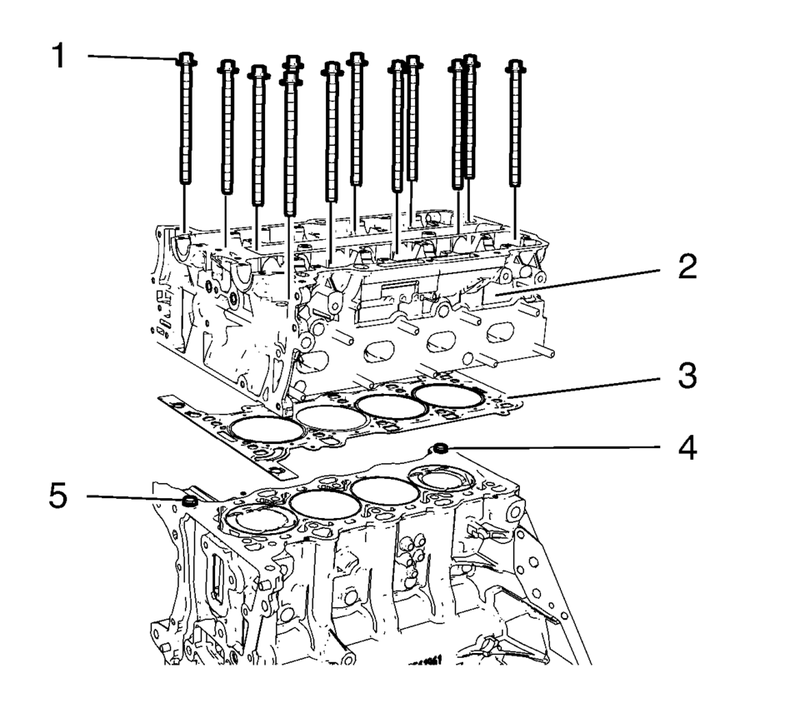 Remove the 12 cylinder head bolts (1). Remove the cylinder head (2). 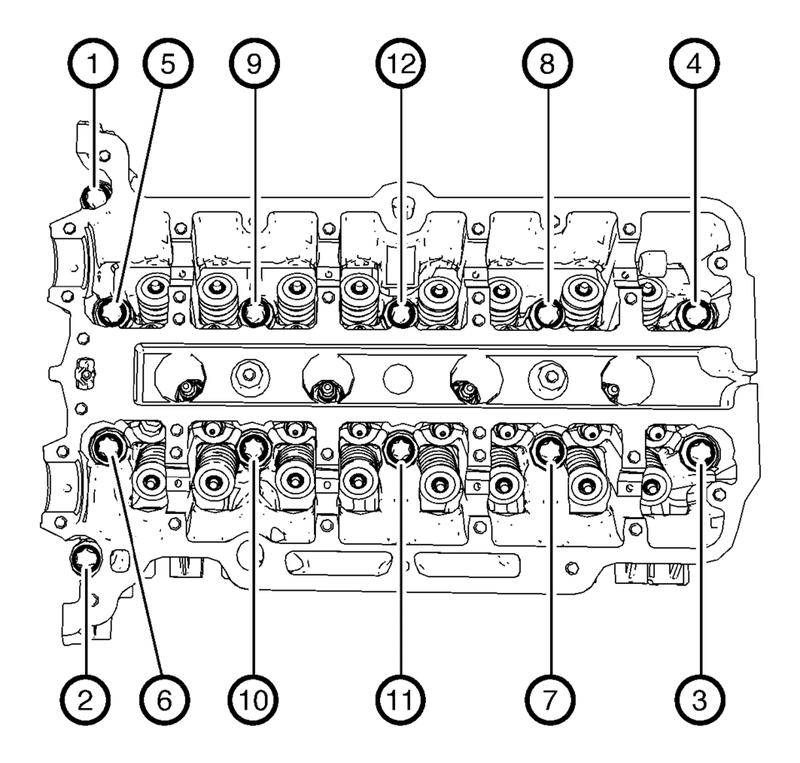 Remove the cylinder head gasket (3).